One of the great assets of being a member of Association of Fundraising Professionals is the opportunity to network and build relationships. Another is the wonderful breadth of educational opportunities available in chapter meetings, local and international conferences. Our Central Pennsylvania Chapter also has an opportunity for you to be matched with a Mentor in an area you want to learn more about. Your mentor is a volunteer who has experience in the area you choose and who is willing to nurture your learning. 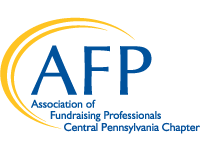 Please complete the Mentor Request Form and email to afpcentralpa@gmail.com. We will get back to you with questions and perhaps a suggestion of a person who has volunteered to be your mentor.